Charging via USB , What is BC 1.2, Smart Charge, Quick Charge and what are the differences? In this article we will be happy to explain the various developments in USB charging processes for you. Smart Charge is the term for smart charging technology. Here, the delivered charging current between 1 and 2.4A is optimally tuned depending on the connected device. This way you always have the most optimal charging current for a fast and safe charging process. Smart Charge ports in USB Hubs do not support data transfer and are only intended for charging (mobile) equipment. Ouick Charge is, as the name suggests, a charging technique that recharges the battery in a short period of time. With Quickharge 2.0 (QC2.0) the duration of charging will be reduced to 75%! This means that in about 30 minutes you can charge 60% when charging (depending on your device). 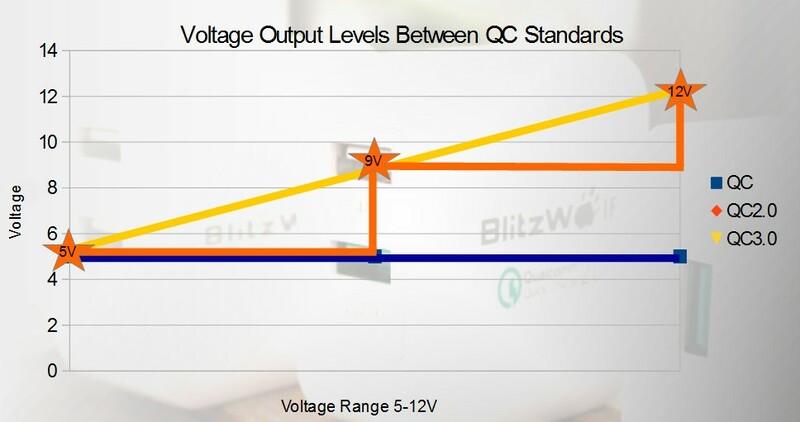 QC2.0 supports 5V, 9V and 12V with a charging capacity of up to 3A. The intelligent IC in the charger recognizes which device you have connected and whether it supports QC2.0. If this is the case, then 1.5A will be delivered at 12V, 2A at 9V and 2A at 5V with a total maximum capacity of 36 Watt. Quick Charge 3.0 is basically as strong as QC2.0, but it is much smarter. The output adapts exactly to the demand of the battery of your smartphone making the charging process particularly efficient. With Quick Charge 3.0, the duration of charging will be reduced by up to 90%! This means that you can charge 80% in about 35 minutes (depending on your device). Quick Charge 3.0 supports 5V, 9V and 12V with a charging capacity of up to 3A. The intelligent IC in the charger recognizes which device you have connected and whether it supports QC3.0. If this is the case, then 1.5A will be delivered at 12V, 2A at 9V and 2A at 5V with a total maximum power of 35 Watt. As explained in the article " charging via USB " it can in practice be that your smartphone does not charge via USB standard 3.0 or lower. BC 1.2 is an extinction of USB 3.0 to make it capable to charge mobile devices with more than the standard 0.9A. At BC 1.2 the current is output 1.5A instead of the standard 0.9A of USB 3.0 when connected to a PC. If the BC1.2 is connected to mains voltage and is separate from a PC, the maximum charging current is 2.4A. Thanks to BC 1.2, you can simply recharge your mobile devices quickly! In addition, data transfer can also take place in accordance with USB 3.0. The latest development in the USB area is USB 3.1 (gen2) . USB 3.1 with type C connection provides 2A with USB 3.1 (5v) and offers technical possibilities up to 5A / 20V depending on the Power Delivery Profile. This would also make the charging problems a thing of the past. However, be alert when you read USB 3.1, there is confusion at the type approval and some manufacturers tempt you with USB 3.1 (gen1) which in view of the specification is equivalent to USB 3.0. 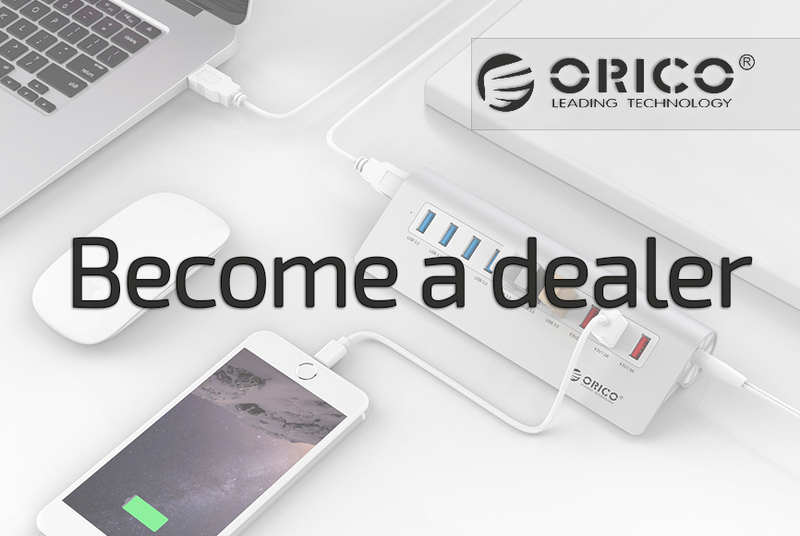 We at Orico NL do not participate, and simply call USB 3.1 gen2 USB 3.1 and USB 3.1gen1 USB 3.0. How can you recognize USB 3.1? You can easily recognize USB 3.1gen2 at the data transfer speed. This is from USB 3.1 (gen2) 10Gbps and from USB 3.0 5Gbps. The USB 3.1 gen2 is also only technically possible with the latest USB Type C connection. Wondering what type of USB connection you have, check out our USB Wikipedia .